Established by Article 3 of the United States Constitution, the Judicial Branch is the part of the government that reviews, interprets, and applies laws. This branch is composed of all courts (Supreme, Appellate, ect) and the judges and public workers in these courts. A court's primary job is to settle a case. There are two primary types of cases. Civil Cases are disagreements between two groups or people. These focus on who deserves compensation in an agreement. Criminal Cases occur when a person is indicted, that is charging someone for breaking a law. In both cases, the Plaintiff, the person or group that started the case, must prove that the Defendant, the person who is being charged, is liable for damages in Civil Cases or has broken the law in Criminal Cases. Before a case is brought forward to the court, a Prosecutor, the person who starts the legal proceedings, asks a Grand Jury to investigate a case for criminal conduct. If the Grand Jury approves, they present their information to the Prosecutor, and he or she brings it to the court. In some cases, the defendant may be a representative of a larger group. These cases are called Class-action suits. In the event that the United States is involved in a court case, the Solicitor General, the person in charge of most litigation in the United States, represents the country. Not everyone involved in the case is a member of the Judicial branch or a side in the case. Amicus Curiae Briefs (Literally friends of the court) are outsiders who give testimony and evidence to a case to promote justice. These involve witnesses, people affected by the decision of the case, ect. In the United States, there are two divisions of courts with three court levels. Like the rest of the government, there are Federal Courts and State Courts. Federal courts are in charge of any crimes or settlements on a federal/interstate level, and state courts deal with anything within the state. 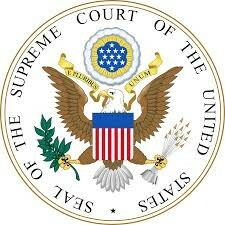 With the exception of the Supreme Court of the United States, all other courts are established by congress. Supreme Court - Highest level of court. Reviews the decisions of appellate courts in their division. Appellate Courts - If a side in a court case disagrees with a Trial Court decision, that side can ask the Appellate court in that division to review the case. This level decides on if there was any inappropriate conduct when interpreting or applying the law. Trial Courts - Local courts that review evidence and make a decision. "In all Cases affecting Ambassadors, other public Ministers and Consuls, and those in which a State shall be Party, the supreme Court shall have original Jurisdiction. In all other Cases before mentioned, the supreme Court shall have appellate Jurisdiction, both as to Law and Fact, with such Exceptions, and under such Regulations as the Congress shall make." To appeal to the SCOTUS, a person must send a Writ of Certiorari to the SCOTUS. This is a formal request explaining why the SCOTUS should review the case. If they accept the Writ of Certiorari, then the case is heard. 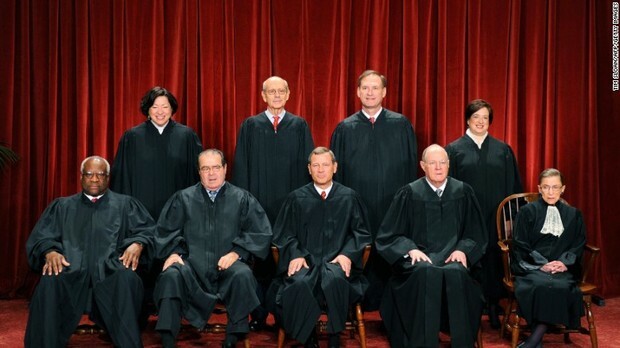 In the Supreme Court, there are nine justices that review a case. There are eight Associate Justices and the Chief Justice. Justices serve for life, and they must be financially compensated. The only requirement is that the person is a US citizen "in good standing." Judges for the SCOTUS and other federal levels are appointed by the president, and these appointments must be approved by Congress. All other judges are appointed by the represented area of government (state, district, etc). Typically, a president follows the unwritten rule of Senatorial Courtesy when appointed judges. The president asks the senior senator of the state that the potential justice for their approval of the recommendation. The Chief Justice leads the trial, and all nine justices after hearing the Oral Argument (the claims and evidence from both sides of the case) make a decision in the case. There are 3 types of decisions. Majority Opinion - The official decision of the SCOTUS. This states the reasoning for the decision and the resulting effects and actions of said decision. Concurring Opinion - If a justice or justices reach a similar conclusion for the Majority Opinion but has different reasons for supporting it, then a second opinion is written explaining the reasons why. Minority Opinion - This is reasoning of justices against the majority opinion. The Executive and Legislative branches have several checks against the Judicial branch. As mentioned before, both have a part in deciding who becomes a justice. Furthermore, the legislative branch can impeach a justice, change the number of justices, or rewrite a law to make a decision obsolete. However, the Judicial branch can check the others by declaring executive orders and acts or legislative laws unconstitutional in what is known as Judicial Review. First established in Marbury v. Madison, if a law, act, or order conflicts with the constitution, it is nullified. What affects the Supreme Court's Decisions? There is this concept of Judicial Restraint in the court. To quote Wikipedia: Judicial restraint is a theory of judicial interpretation that encourages judges to limit the exercise of their own power. It asserts that judges should hesitate to strike down laws unless they are obviously unconstitutional. . . . Some justices are strict constitutionalists, while others are loose constitutionalists. A Strict Constitutionalist accepts only what is explicitly stated in the constitution and is less likely to support any necessary or proper concepts. A Loose Constitutionalist supports concepts that are not explicitly stated but supported by the constitution. A court may base its decision on the concepts of Stare Decisis or Judicial Activism. Stare Decisis, latin for "to stand by that which is decided," is the basis of a judgment by previous court decisions. Once a decision is made, it sets a precedent for all future cases. For example, Miller v. California established the definition for obscenity, so most cases dealing with obscenity used the logic from Miller V. California. Judicial Activism is when the court makes a decisions based on its prevalence today instead of previous decisions. For example, Brown v. BoE overturned the separate but equal doctrine of Plessy v. Ferguson. 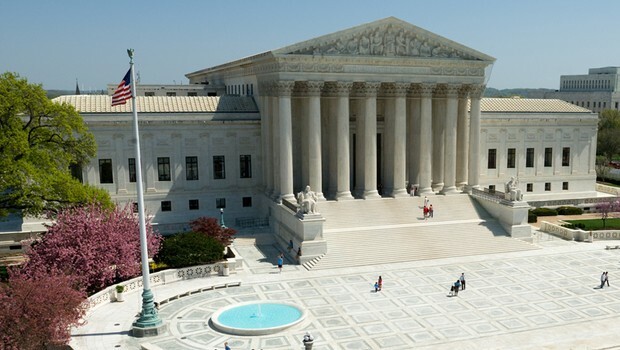 The Judicial Branch is designed to be more independent of public opinion. Justices serve for life, are not appointed directly by the public, and control their own agenda. However, this does not mean they are totally isolated from public opinion. They are still appointed by the president and confirmed by congress. 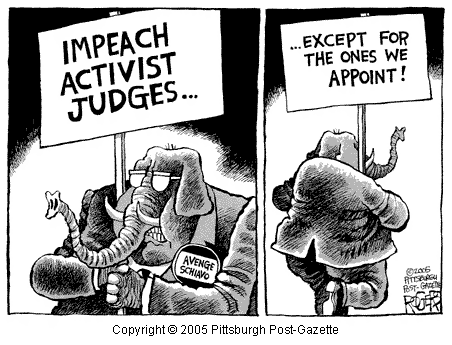 If a justice does something illegal, that justice can still be impeached. Lastly, the SCOTUS has no power to enforce any of their decisions. They rely on others to do so.